Some would call it luck, others coincidence. Father Eamon Kelly calls it “providence.” When his Catholic organization, the Legions of Christ, bought a piece of land on the western shore of the Sea of Galilee, little did it know what it would find. 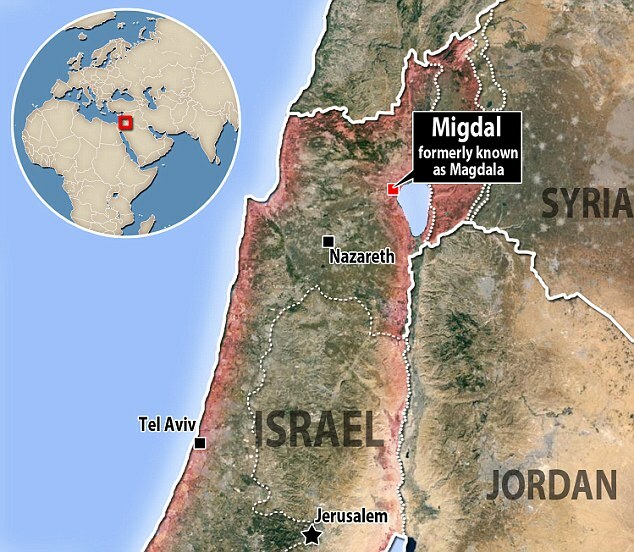 “Eighty percent of Jesus’ public life was here,” says the Irish-born priest, gesturing at the Galilee region. He stands on what are likely ruins of the ancient town of Magdala, thought to be the home of Jesus’ best-known female disciple, Mary Magdalene. The waterline of Israel’s only sweet-water lake shimmers in the distance. It took his organization several years to buy and acquire permits for four adjacent plots of land on which to build a pilgrims’ hotel, an inter-faith chapel, a restaurant and a women’s shelter. When archeologists and volunteers started digging, they were astonished to find a treasure: A 1st-century synagogue, one of only seven in Israel – and in the entire world. “This is the first synagogue ever excavated where Jesus walked and preached,” says the father, calling it “hugely important” for both Jews and Christians. Experts say it’s highly likely that Jesus would have preached in the recently uncovered synagogue, believed to have first been built in the year 1 as a simple structure which was then upgraded into a more ornate one in the year 40. Anyone touring the region, as Jesus did according to the New Testament, teaching and preaching in synagogues all through Galilee, would not have skipped Magdala, located on the Via Maris – the ancient trade route that ran along the Mediterranean and the western shore of the Sea of Galilee all the way from Egypt to Syria. “So if a strange rabbi came to town, a new rabbi, a new preacher, a new teacher, the logical place was to meet here,” Kelly says, standing on the two-thousand-year-old stones. 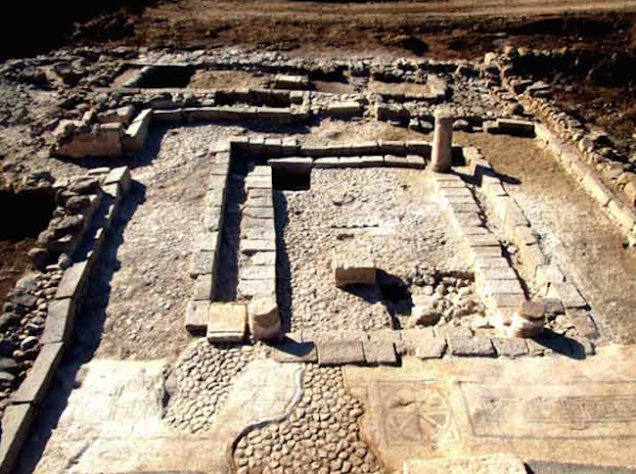 According to archaeologists, the Magdala synagogue was destroyed in 67 or 68 CE by Romans in their first war with Jews. 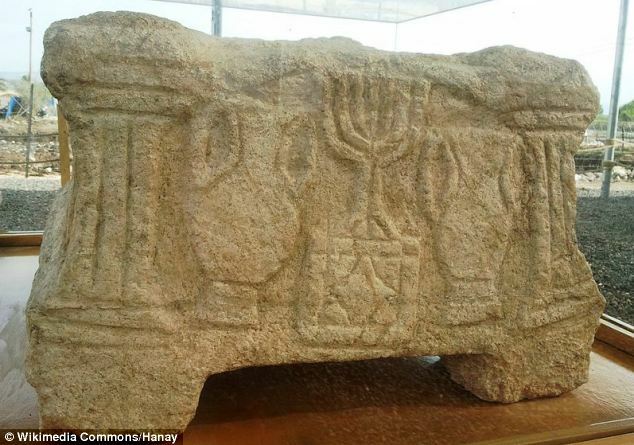 Until the Magdala Stone was discovered, the oldest menorah ever found was on Rome’s Titus Arch of 82 CE. “Actually what the archaeologists are saying now is we’re digging up an entire 1st century city,” says Kelly, adding that there are still 12 acres left to dig. The site’s hospice and restaurant are still under construction, but the lavish inter-faith chapel is ready. Given that the synagogue stems from a time that precedes many modern religious divisions, Kelly says it’s an important symbol that’s just as valuable today.